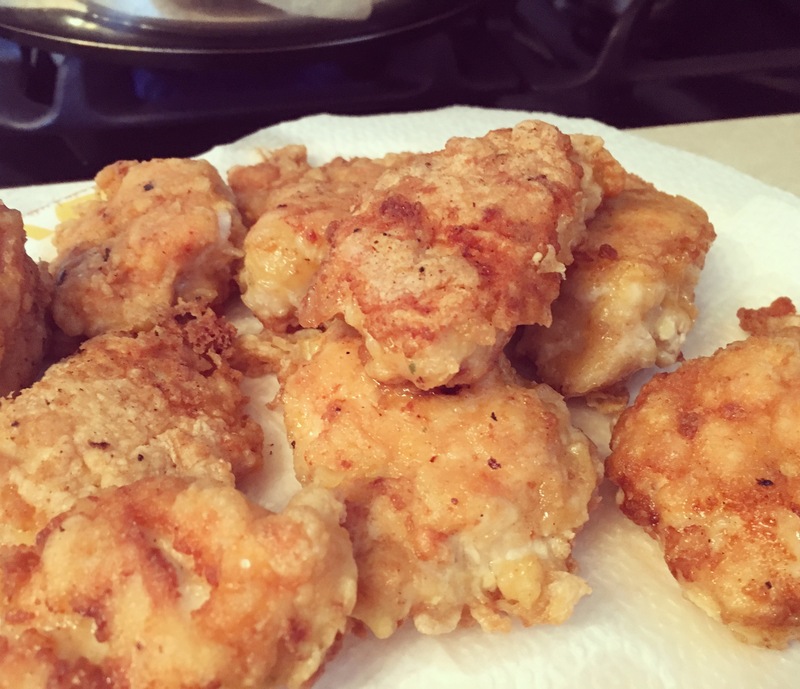 I love chicken, especially breaded. Eating gluten/grain free is a challenge but boy, this recipe is not lacking!! 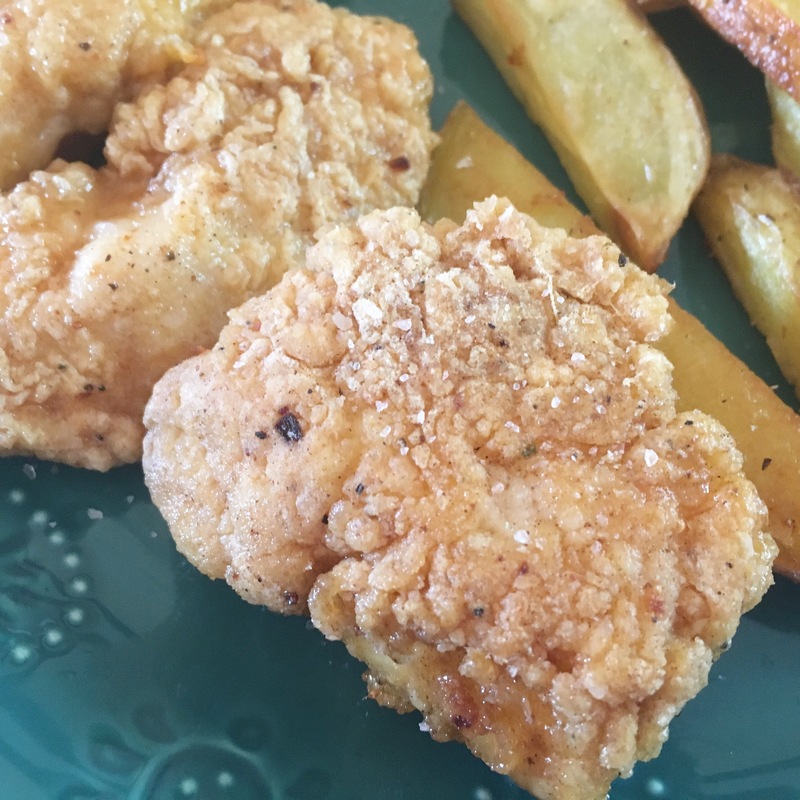 It’s so good, my best breaded recipe I’ve ever made. 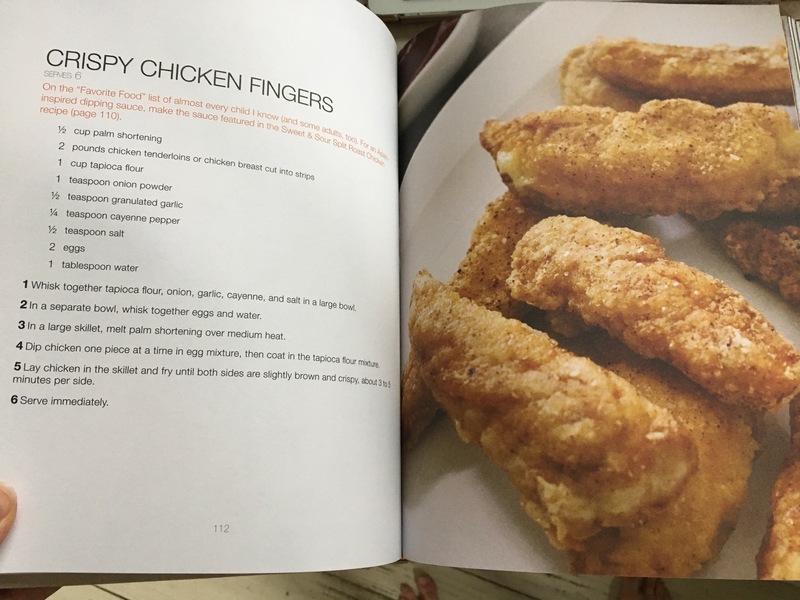 Make nuggets or chicken strips. It’s crispy and flavorful. 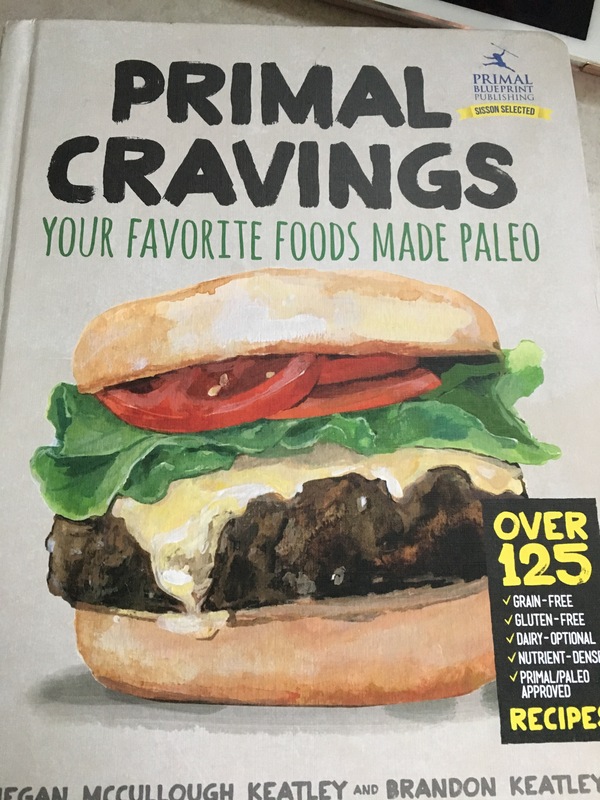 I got it from one of my favorite cookbooks, So I’m sharing and telling you to go buy one! 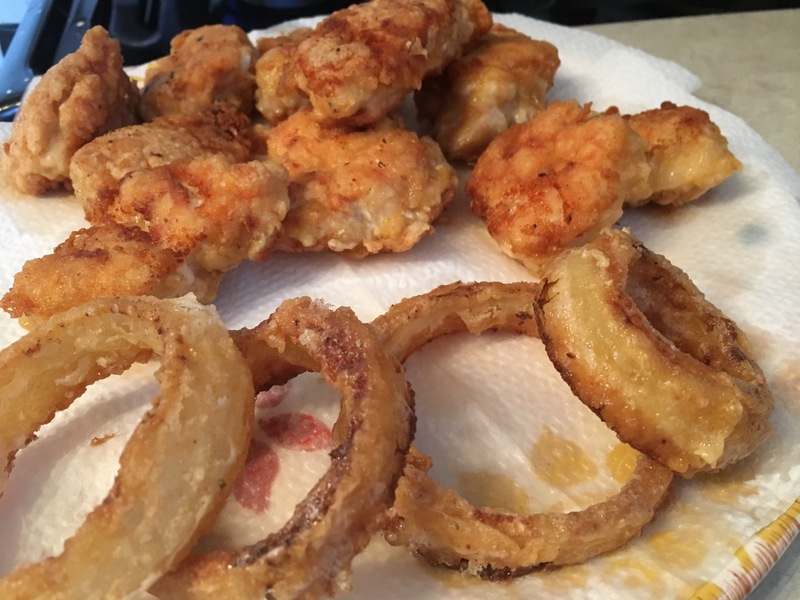 You can even bread onions and have onion rings! 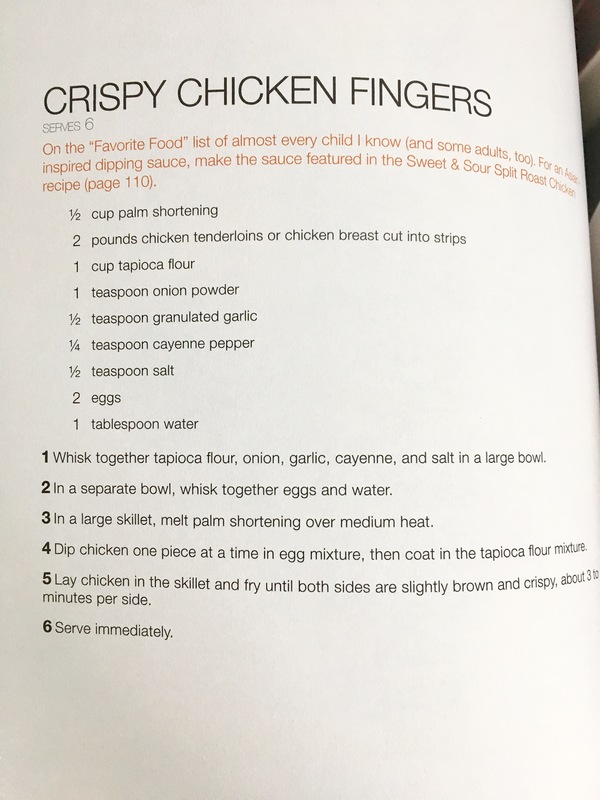 I’m just going to show you the recipe here, to make it easier on me, ha. I use bacon grease instead of palm shortening. Every time I make bacon, I pour the grease into a glass mason jar and keep in the fridge. I use a good quality; uncured bacon. Toxins are stored in the fat, so it’s important to use a good kind. I just heat up my pan with scooping the reserved bacon grease into it and frying the chicken. I also use 1 tsp of paprika in the recipe.